Maganda Panda: This week's nails! Here we are a week later and my nails are done up once again! 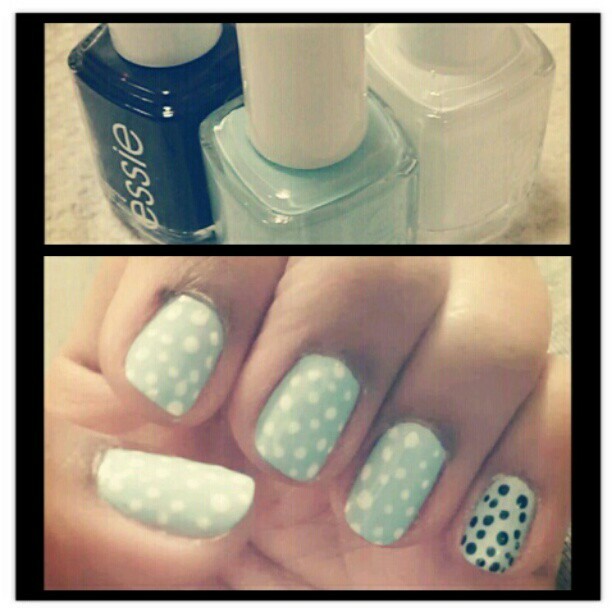 Polka dots are another nail trend this season! Would you believe me if I said this was my first time attempting this look? It's so much easier than I thought. I decided to put a twist to it by having the pinky nail different instead of the middle/ring fingers. I wanted to try something different from my usual one or two colored nails, what do you think? Have you tried dotted nails? What's your favorite nail trend? What's on my nails this week?